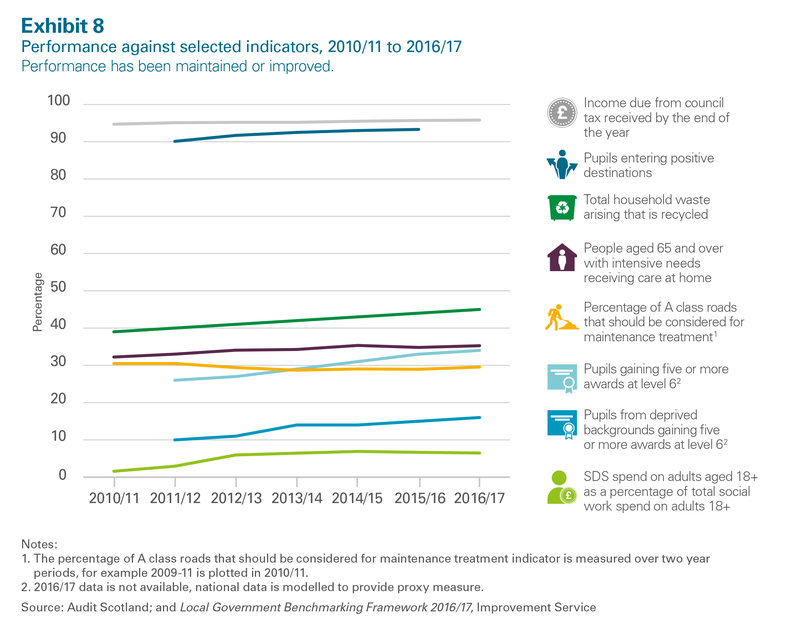 Finding savings is now "increasingly critical" for councils dealing with ongoing reductions in funding, says the Accounts Commission. 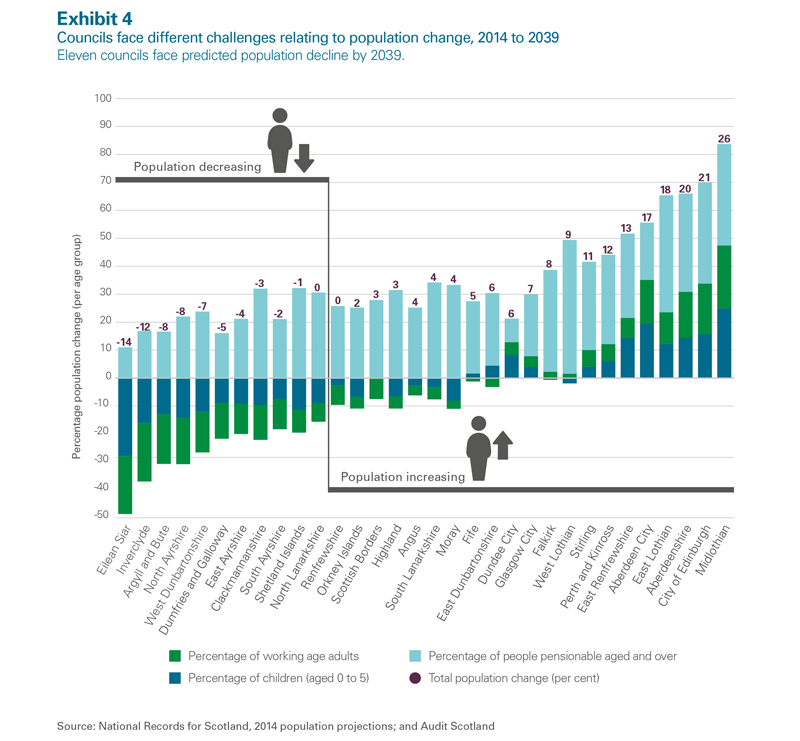 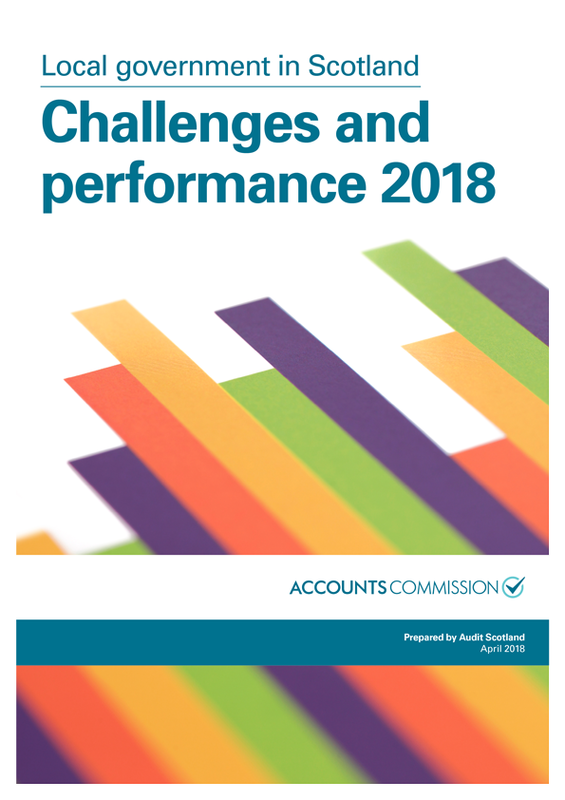 This second overview report follows on from Local government in Scotland: Financial overview 2016/17. 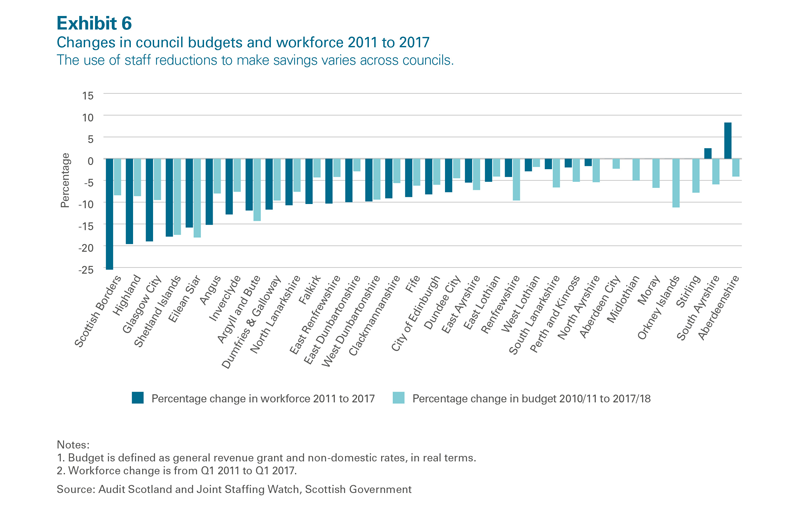 Our interactive Tableau visualisation illustrates councils' spending and performance, and public satisfaction with services.